Took exactly one hour for the first player to go from the start of the shootouts to make the money, as Bohao Zhu is eliminated 4th from Table 4. He cashes for $291. 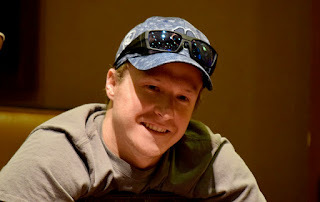 Table 3 is still 5-handed and Chris Penfield (above) is sweating the money as he needs to cash to still be in the running for a last-longer with a few others who didn't get to the shootout format. If Penfield is eliminated, the last-longer goes away. Penfield just doubled KK>TT through Dermot Lyons.